What is The Difference Saving in The Bank By Saving at The Insurance? 1. The Bank shall not provide life protection to its savers / clients. That is, by becoming a customer in a bank, if one day the customer dies, heir / family will only get a number of balances in the bank. Another case if the customer saves in the insurance company, if the customer dies, then the heir / family will get a Sum Insured plus the return of the existing savings balance and the value of the investment. Will end if the savers pass away and the heirs will only get some money according to the balance in savings. For example: a customer saving a new 10 months of Rp 10 million, then died, then the heirs will only get Rp 10 million plus interest. The new customer saves 10 months of Rp 10 million, then dies, then the heirs will receive Life Insurance Sum Insured according to the policy (Rp 100 million, Rp 500 million or Rp 1 billion, depending on premium) PLUS cash value from savings for the 10 months. 2. Customers who save in the bank, if you want to get the insurance facility must buy from the insurance company, so the cost incurred for the benefits to be greater. This is because in addition to the customer charged administrative fees in the bank, also must pay the insurance company's insurance costs. If customers save in insurance companies, then insurance benefits in addition, so customers pay less. Online insurance is rapidly taking over the world, replacing old traditional steps that in the past seems to be the right way to get insurance. 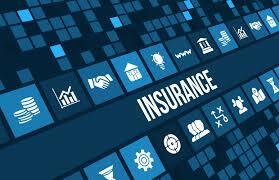 Online insurance is growing, as information technology becomes increasingly important at all times. When you plan to buy short-term life insurance, you will get insurance coverage for a certain period of time. It is certainly comparable to the whole premises of funds you spend. Health insurance is a type of insurance where an insurance company (private or government organization) pays a medical fee to the customer. There are a number of insurance companies that offer affordable and inexpensive health insurance. Buying an online health insurance is easy and convenient rather than visiting an insurance agent or a private company. By looking for different health insurance websites, buyers can learn all about health insurance, link units and others. Life insurance that provides the best offer and rating such as commlife which is the best insurance in Indonesia. With the size of the stock and over the times, commlife becomes one of the best Indonesian insurance. Insurance is important for anyone not your exception, everyone needs insurance even in Japan the level of policy ownership reaches 200% of this matter certainly reflects that Insurance is needed.